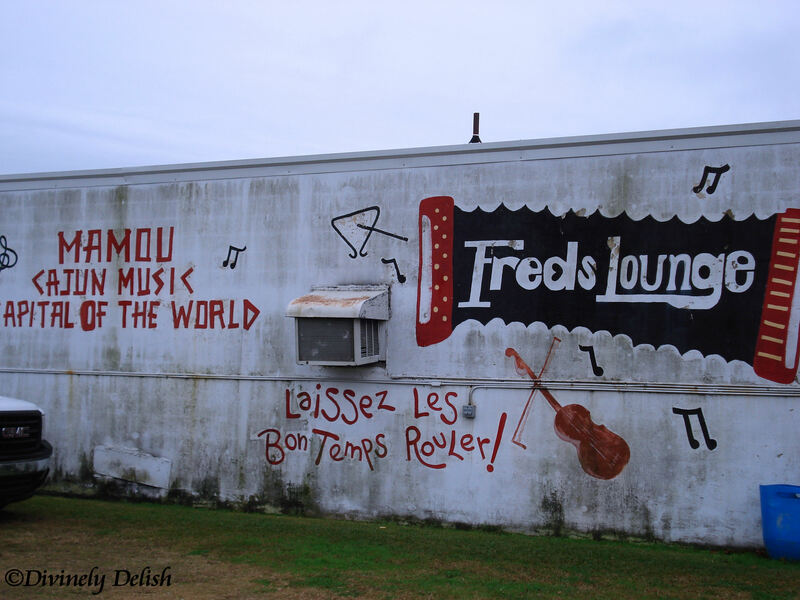 Driving west of New Orleans, we hit the real Cajun country, or Acadiana, as the region is known. This is the land of boudin balls, crawfish, fried alligator and Cajun and zydeco music. If we hadn’t googled and read the great reviews, we’d never have thought of stopping at a supermarket, of all places. We made a detour to The Best Stop Supermarket on our way from Opelousas to Lafayette. This store sells a huge variety of Cajun delicacies, from Andouille sausages and hog head cheese to marinated rabbit and chaudin (stuffed lining of pork stomach). 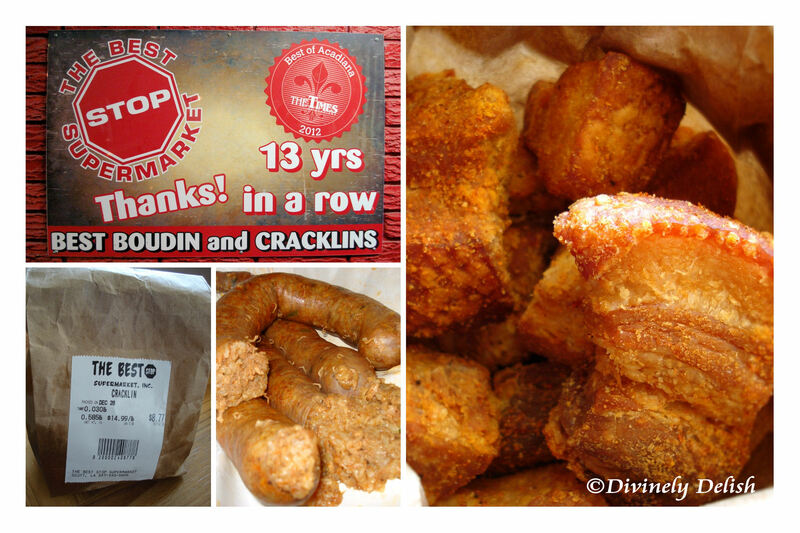 We opted for their best sellers – boudin and cracklins. Boudin is a slightly spicy pork sausage stuffed with onions, peppers and rice. It was probably one of the best tasting sausages I’d ever had! It was only after we got the cracklins that we found out what they actually are – cubes of belly pork, deep fried and seasoned. So here was yet another deep fried food that I thought I wouldn’t like, but they were seriously good…a combination of crunchy, melt-in-your-mouth yumminess to snack on during our road trip! We drove back towards New Orleans and started our journey along the Gulf Coast, where we stopped for dinner at the Ole Fillin’ Station in Biloxi, Mississippi. It’s an unassuming little place, a former gas station converted into a restaurant. The service was great, and the food incredibly delicious. 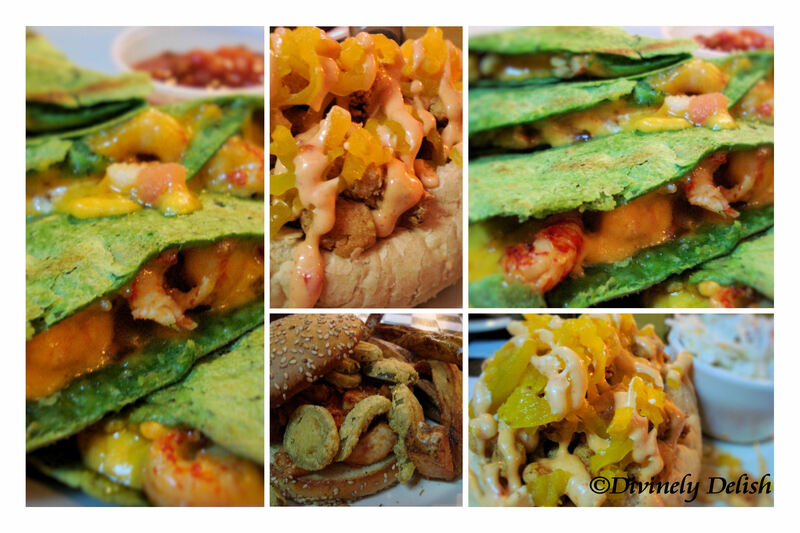 We ordered the Cheese Quesadillas with Crawfish, Crawfish and Pepper Piroux (a big bun stuffed with fried crawfish and banana peppers, with a side of coleslaw) and the Biloxi Blues sandwich. The only drawback to this place is that smoking is permitted. Without the cigarette smoke, we would’ve had a much more pleasant dining experience. There’s a lot of history to Mary Mahoney’s Old French House. It’s quite literally one of the oldest houses in America, dating back to 1737. It was turned into a restaurant more than 50 years ago, and since then, this upscale establishment has seen its share of the rich and famous. The walls are adorned with photos of celebrities and past presidents who’ve dined here. 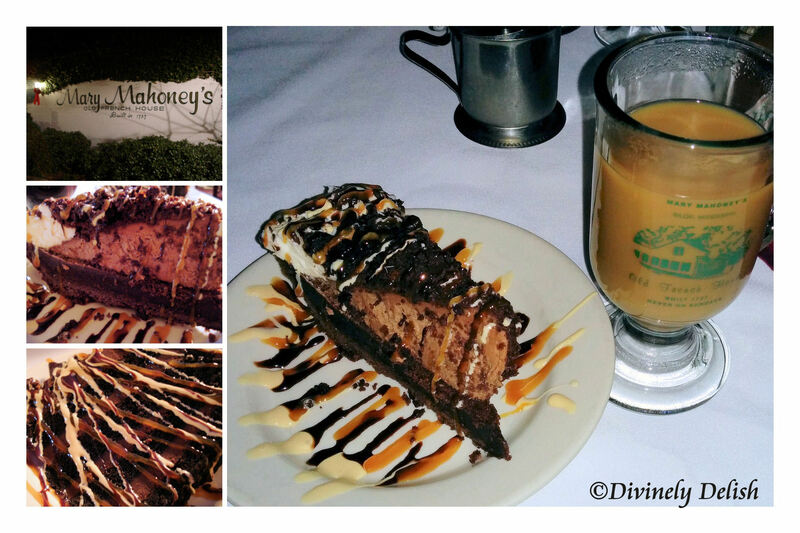 We came here for coffee and dessert – Mississippi Mud Pie and the Double Chocolate Cake, both of which we enjoyed while soaking in the ambience. 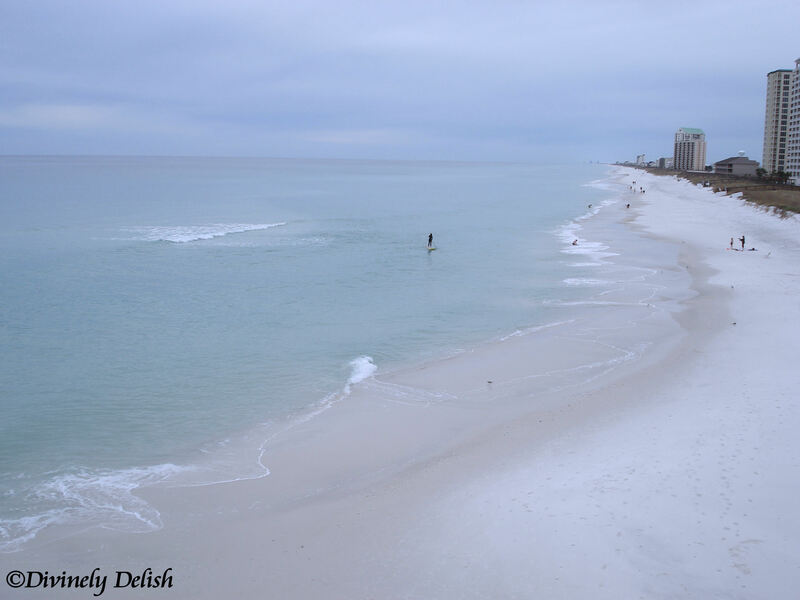 We continued our drive through Mississippi, Alabama and onto Florida. 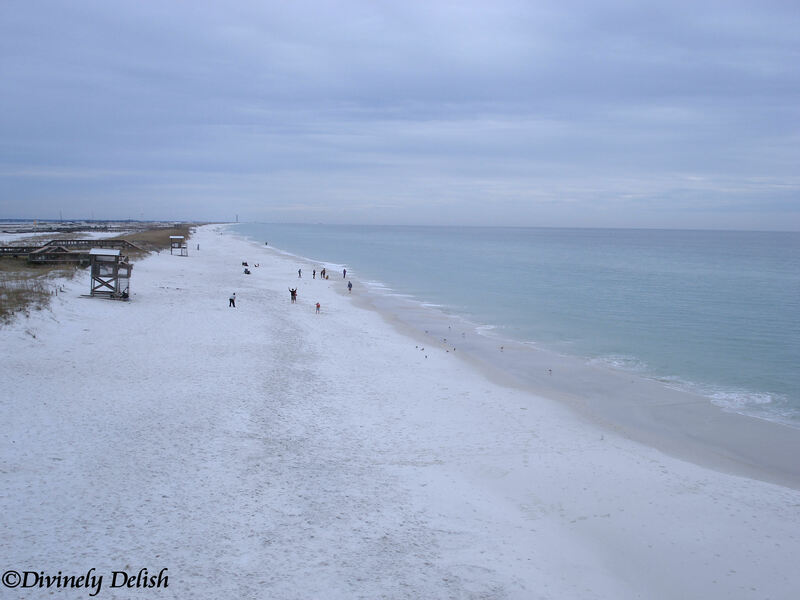 Who would’ve guessed that these parts have some of the nicest white sand beaches!